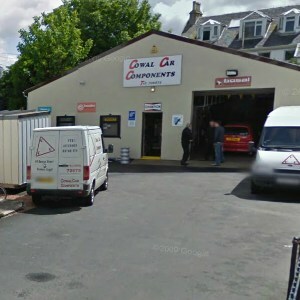 Cowal Car Components is a local tyre supplier and fitting centre serving Dunoon and the surrounding area. Offering personal service and local knowledge along with an excellent range of tyre brands to suit all pockets and vehicles. As well as tyres we also offer wheel balancing. You can use this website to book your tyres or pop in and see us if you’re not sure what you want and would like some friendly advice. At Cowal Car Components we are committed to giving our customers the best service possible. We are proud that we are Falken & GT Dealer & stockist. This recognition of quality and service so far. Training is received by all staff and is on going throughout their careers with Cowal Car Components.This ensures all staff have the right skills to repair and maintain customers vehicles to the high standards we insist upon. We are Falken tyre dealer & stockist.